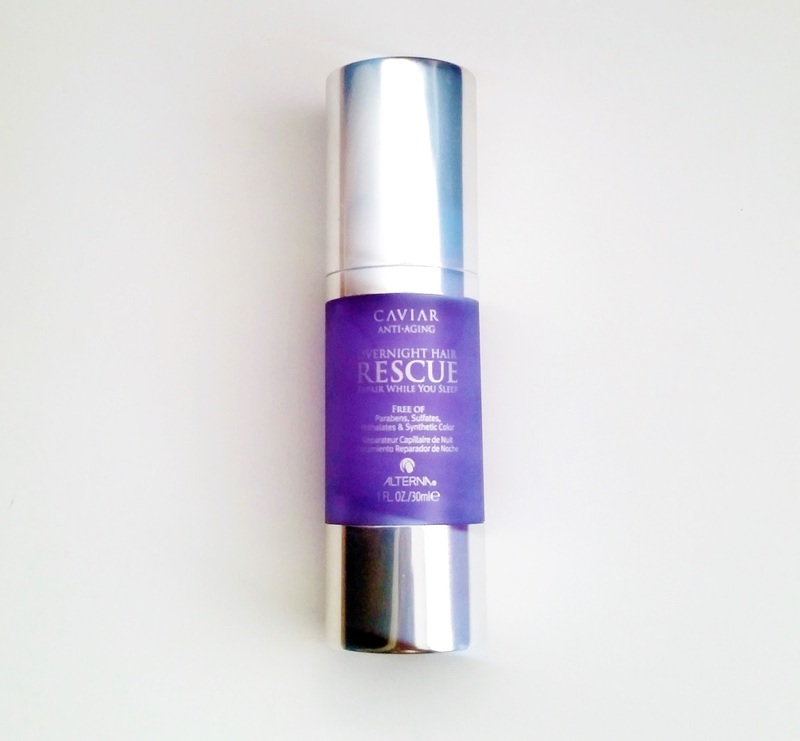 Home / HairCare / Alterna Caviar Anti-ageing Overnight Hair Rescue. 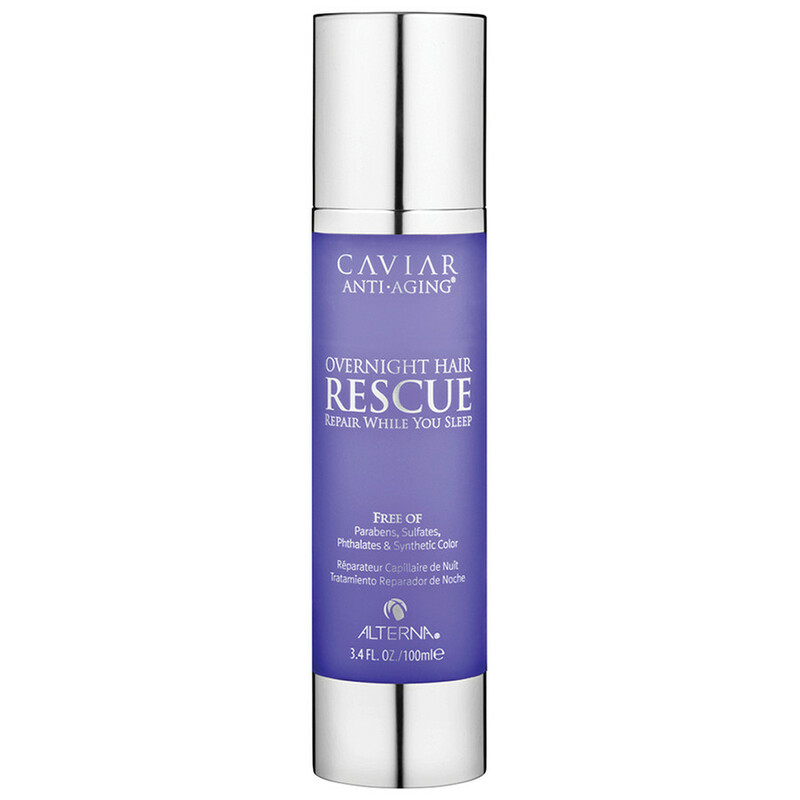 Alterna Caviar Anti-ageing Overnight Hair Rescue. Get the most out of your beauty sleep with the Alterna Caviar Anti-Ageing Overnight Hair Rescue, a deeply penetrating overnight treatment for damaged or chemically treated hair that repairs while you sleep, promising not to leave any residue on your pillow. Instantly penetrating deeply into your hair, the Alterna Caviar Anti-Aging Overnight Hair Rescue delivers vital nutrients for transformational results while you sleep. Free of parabens, gluten, mineral oil and phthalates it won’t leave residue on your pillow. Repairs damaged or colour treated hair while you sleep. Water (Aqua), Cyclopentasiloxane, Dimethicone, Polyquaternium-37, Propylene Glycol Dicaprylate/Dicaprate, Glycerin, Dimethiconol, Butyrospermum Parkii (Shea) Butter, Panthenyl Ethyl Ether, Hydrolyzed Vegetable Protein PG-Propyl Silanetriol, Hydrolyzed Keratin, Phospholipids, Helianthus Annuus (Sunflower) Seed Oil, Polysilicone-15, Pearl Powder, Ascorbic Acid, Phytantriol, Saccharomyces/Magnesium Ferment, Saccharomyces/Copper Ferment, Saccharomyces/Silicon Ferment, Saccharomyces/Zinc Ferment, Saccharomyces/Iron Ferment, Keratin, Caviar Extract, Butylene Glycol, Algae Extract, Superoxide Dismutase, C10-40 Isoalkylamidopropylethyldimonium Ethosulfate, Dipropylene Glycol , PPG-1 Trideceth-6 , Silicone Quaternium-3, Trideceth-12, Phenoxyethanol, Caprylyl Glycol , Fragrance (Parfum), Limonene, Linalool, Geraniol, Hydroxyisohexyl 3-cyclohexene Carboxaldehyde, Hydroxycitronellal, Benzyl Salicylate, Citronellol. 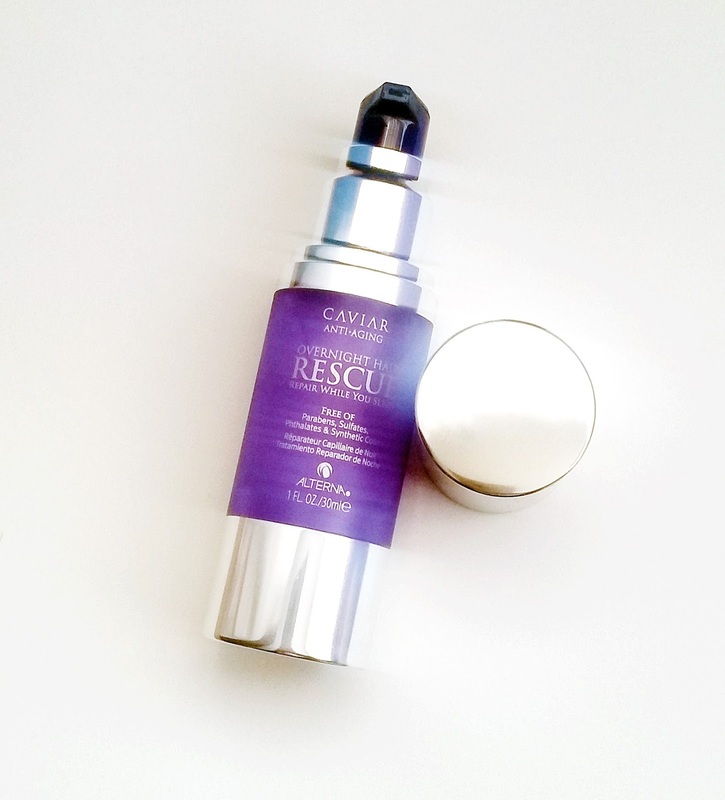 The Alterna Caviar Anti-ageing Overnight Hair Rescue situated in a stylish metallic pump bottle, the middle of the bottle shows you how much product is inside. The pump dispenses just the right amount of the overnight hair rescue which has a light serum texture. A light fragrance can be detected when applying but soon disappears when applied to your hair. Your hair will feel instantly smooth thanks to the Dimethicone ingredient which is a man made silicon oil and is widely used in cosmetic products. Silicon or "cones" in hair products can be spotted in the ingredients list and is down to the users preference of whether to use products containing them or not. The Alterna Caviar Anti-ageing Overnight Hair Rescue does instantly transform distressed tresses without overloading the hair. Your hair does not feel greasy and there is no residue on your hair to transfer onto your pillow. Using the overnight hair rescue is a great moisturising step before washing your hair like the similar method (pre-shampoo) when using your favourite oil. The Alterna Caviar Anti-ageing Overnight Hair Rescue washes out easily leaving hair feeling stronger, smoother and looking healthier. Don't forget to shop around to get the best deal on this easy to use overnight hair saviour! X Neil.